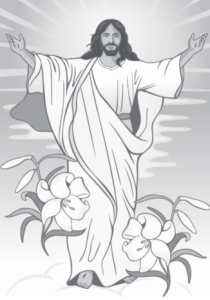 Blessings at Easter to you and your family. Spend at least 15 minutes reading every day. Students need to be proficient in addition, subtraction, multiplication and working on connecting multiplication to division. 2018 – 2019 Yearbooks may be ordered online. The last day to order is April 30th. Thank you. Transportation is paid by our HSA Fund Raisers. Thank you. Parents interested in chaperoning must be cleared through the Sake of God’s Children. Please let me know if you plan to join us. Details, permission slips, and costs will be sent home the end of April. Addition and Subtraction – Math Facts Pro YEAH! Students are achieving 100% in addition and subtraction. Moving on to multiplication and division. All students need to achieve 100%. Practice 15 min. a day. Use flashcards or games on the computer. One Night No Written Homework Pass may be earned when you have proficiency in each operation. Nancy White teaches third grade and third grade religion. 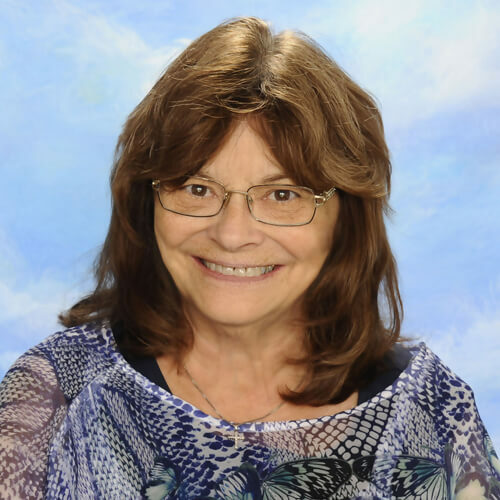 She has 45 years of experience teaching at St. Francis de Sales, which includes teaching kindergarten, first grade, second grade, fifth thru eighth grades, English, reading, and math, and presently third grade. She attended Baltimore Community College and continued Early Childhood Education at Salisbury State College. She also is a certified Orton-Gillingham Reading Specialist, Gesell Developmental Examiner and Assessor in Early Childhood, holds a Religion Teaching Certificate, and approved by the Diocese of Wilmington. She is the recipient of The Benemerenti Medal for long-tenured commitment and service to Catholic education. She believes in sharing her faith and praying with her students throughout the day as a reminder, “They are always in the Holy Presence of God.” Her classroom theme is ‘Moral Courage’ as a reminder to make good choices and nurture their three R’s, Religion, Respect, and Responsibility. She sees her role as a coach and facilitator in the classroom. To personalize learning, she encourages students to generate questions for each other, while also facilitating classroom discussions to promote student learning. Each student is assessed daily on their understanding and application of the skills being taught. She also uses oral and individual evaluations, middle and end of chapter assessments, theme, and concept tests to assess her students’ knowledge. Students’ progress and proficiency are communicated to students and parents with comments and grades. She believes self-confidence empowers students to be the best they can be, to express themselves, and to better understand the ever-changing world around them. All students must be proficient with addition, subtraction, and multiplication facts to 12’s before the end of third grade. Addition and Subtraction Facts memorize by Easter Break. Multiplication Facts 12’s memorize before the end of April. division facts from knowledge of multiplication facts. just let me know and I will assess with flashcards. Parents need to check your child’s homework. Check written assignments to see if directions were followed and homework is completed neatly. Be available to answer questions or help quiz your child. Help your child be organized by using the Take Home Folder and assignment book. Check written assignments to see if directions were followed and homework is completed neatly. Praise your child for homework done neatly and to the best of his or her ability. Students need to be proficient in addition, subtraction, multiplication and working on connecting multiplication to division by end of third grade. Evaluations for Memorization of Math Facts – Week of April 29th – Proficiency in Addition and Subtraction. Math Facts % will be included in grading 3rd Interim. Social Studies – Assignment 2 Home Suggested pacing…. Social Studies – Suggested pacing…. Interview and note cards. Think about converting to sentences. Social Studies -Begin writing sentences for a rough draft. Ask a parent to correct or bring to school for teacher to correct. If you write the rough draft neatly and in complete sentences correctly, it may be your final copy. Social Studies – Complete rough draft. Ask a parent to correct or bring to school for teacher to correct or write the final copy. A Time to Refresh and Do Our Best! Parents need to check your child’s homework to be certain: followed directions, completed everything on the page, and STUDY homework. Continue to pray the Divine Praises Prayer at Home. Students will take turns leading the class through the month. Let your child know that homework is important and valuable. Set a regular time each day for homework allowing some time to unwind after school before getting started. Be available to answer questions or help quiz your child. Discourage distractions, including TV and electronics, during study time. Allow study breaks at intervals. MATH FACTS PRO OR USE FLASHCARDS – PRACTICE DAILY!